Indulgent Fairtrade oat cookies for the whole family to enjoy, made with sultanas, coconut and apricot along with Traidcraft’s pioneering fair trade palm oil produced by smallholders in Ghana, offering women the opportunity to find work which can otherwise be difficult. Sugar, Oats (17.7%), Fortified Wheat Flour (Wheat Flour, Calcium Carbonate, Iron, Niacin-Vitamin B3, Thiamin-Vitamin B1), Palm Oil, Sultanas (7%) (Sultanas, Olive Oil, Preservative:Sulphur Dioxide), Diced Apricots (6.5%) (Apricots, Sunflower Oil, Preservative: Sulphur Dioxide), Salted Butter (From Milk, Salt), Desiccated Coconut (5.6%), Invert Sugar Syrup, Free Range Egg, Raising Agent: Sodium Bicarbonate. 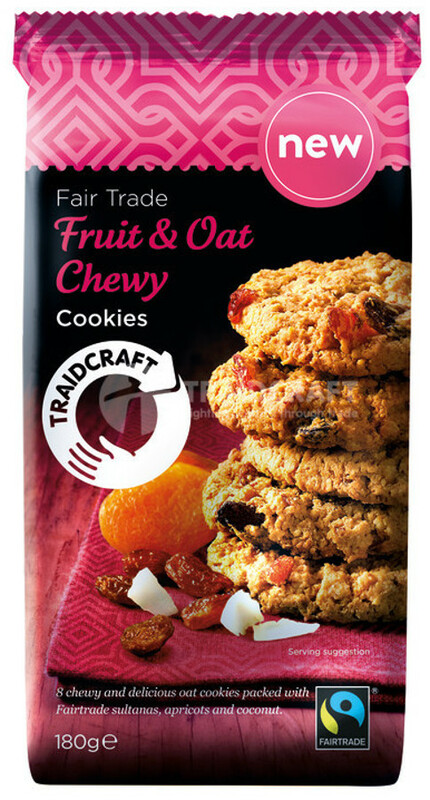 The Traidcraft Fairtrade Chewy Fruit & Oat Cookies - 180g product ethics are indicated below. To learn more about these product ethics and to see related products, follow the links below. Tasted nice but the biscuit was very crumbly - not chewy at all. 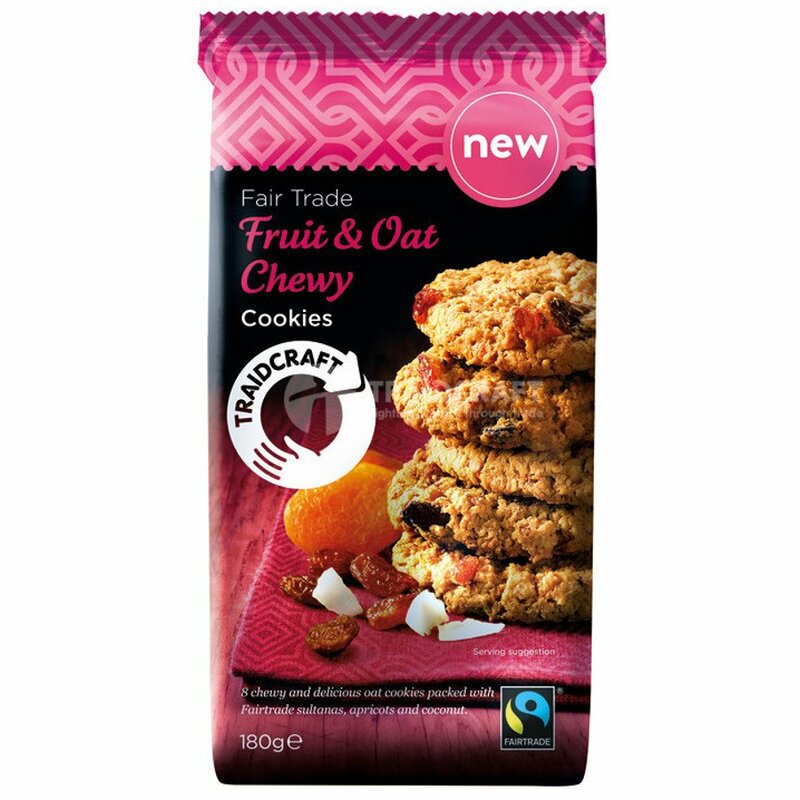 There are currently no questions to display about Traidcraft Fairtrade Chewy Fruit & Oat Cookies - 180g.